Preventing neck pain is a common goal for patients with a history of symptoms in the cervical spinal region. Neck pain can be debilitating and functionally limiting. Therefore, once patients experience this degree of agony, they will do everything possible to prevent future recurrences. Neck pain prevention can also be accomplished by people without any history of previous symptoms, simply by adhering to certain recommended guidelines. Since treating neck pain can be such a challenging process, prevention of symptoms should be the primary goal of every person who is at risk of suffering expressions in the cervical spine. This essay examines some tips for preventing neck problems using lifestyle, postural and mindbody techniques. This article is valuable for current neck pain sufferers, as well as people who simply want to minimize their chances of experiencing these symptoms in the future. People should be careful when driving. Headrests should always be adjusted prior to operating any motor vehicle. Seatbelts should always be worn. Both of these factors will greatly reduce the risk of neck injury in case of a vehicular collision. When participating in any vigorous sporting activity, be sure to wear proper safety gear and protective equipment. This will help to minimize the risk of suffering trauma to the cervical spine. When working, or exercising, try not to strain the neck muscles. These muscles are known to hold tension, so any significant force that is applied to the neck might cause injury. Instead, try to concentrate effort into larger muscle groups that are designed for strength, such as the shoulders and upper back. Do not overstress the neck by working the region too hard or for too long. Such activities as snow removal, gardening and lifting can place tremendous stress on the neck, especially in people who do not normally partake in such strenuous pastimes. When standing, be sure to maintain proper anatomical alignment as per accepted standards. Slouching or standing overly erect can both have negative consequences on the body. The head should be level, the shoulders back, the chest out and the back multiply curved. Additionally, the knees should not be locked when standing. When sitting, keep the back straight and do not place weight on the lumbar spine. Instead, sit upright and place weight equally on the buttocks. Do not look downwards for too long, since this can create significant neck muscle strain and stiffness. When rising, use the strength in the legs, rather than rocking the head and neck forward to create momentum. When lying down, be sure to use a proper size and comfort-level pillow to help align the neck with the remainder of the spine. If a pillow is too low or too high, it can contribute to muscular strain, vertebral subluxations and possible nerve impingement. The pillow used should allow the neck to remain straight, in whatever position the person chooses to sleep. Back sleepers require a thinner pillow, while side sleepers should use a thicker pillow. Stomach sleeping is not advised, but if necessary, no pillow should be utilized at all to minimize stress on the neck. In order to better understand your posture and receive tips on perfecting it, please seek evaluation by a qualified physical therapist or Alexander Technique provider. It is important to take time to relax and enjoy life. Being in a constant state of stress will have horrible bodily effects and might even cause or contribute to acute or chronic neck pain. Chronic pain is often a result of an enduring fight, flight or freeze response engineered by lasting stress. It is vital to communicate with your body and be aware of its needs. If you have been sitting for a long time and feel tight, take the time to stand and stretch. The body is constantly communicating with the brain, but in many cases, these messages go ignored due to workload or stress. Neck pain might result from such psychologically-enacted processes as emotional repression or suppression. This is the fundamental theory used to explain conditions like tension myoneural syndrome. Always remember that the mind can cause pain, just like it can cure it. There is no sure fire way to prevent all types of pain. 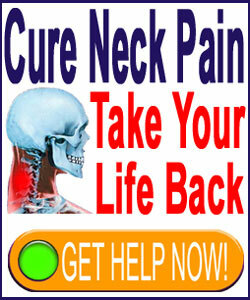 However, by simply using common sense, applying thought before action and maintaining positive habits, people can certainly reduce their risk of developing neck ache significantly. Patients with known risk factors, such as a history of neck pain or a substantial neck injury, must work twice as hard in order to prevent a recurrence or symptomatic escalation. To learn more about proactive means of providing insulation against neck pain in all forms, consult with your doctor, chiropractor, pain coach or therapist. Alternately, you can continue to read many of the treatises on this website to optimize your proactive stance towards patient education and enlightenment. I discuss back and neck pain prevention in my acclaimed book Preventing Back Pain, just one of our lauded Cure Back Pain Forever Program components.